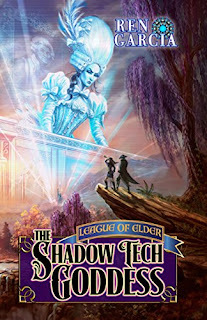 Now lets check out the cover for the second Book in this brilliant Series! Susan was born and raised a California girl but is grateful to have lived on the Oregon coast and in the Rocky Mountains of northern Utah. She’s now enjoying living with her husband in the incomparable beauty of the Redwood forest, nestled against the rugged coast of Northern California. Susan raised a tribe of children, making ends meet as a registered nurse and lactation consultant, and now her tribe members have tribes of their own and she just doesn’t get to see enough of them. She loves to travel and is thrilled with a good movie or a great book, but writing is her passion. She writes almost anything, especially epic fantasy and romance. 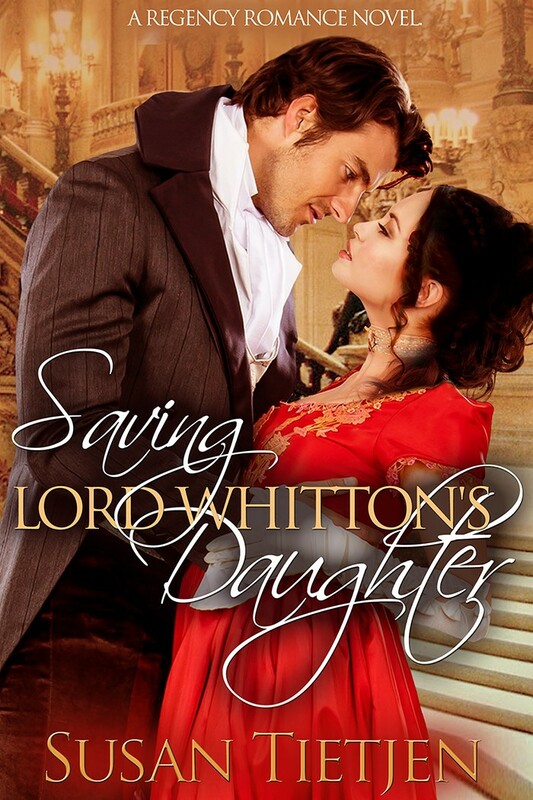 Saving Lord Whitton’s Daughter is her first Regency Romance. Susan would love to hear your comments. Please review her book at your favorite retailer, and at Goodreads, and/ or drop her a note at: stietjen.author@gmail.com. 1) Of course, my very favorite pastime is reading. (Writing is both my job and my lifeblood, so one cannot replace the other!) I love almost every genre, everything from women’s lit and romance (of all kinds) to fantasy, science fiction, mystery, and dystopian. I love so many writers and specific works it’s hard to pick just a few. I’m just as excited about Harry Potter and The Hunger Games as I am by Jodi Picoult, Dean Koontz, Anne McCAffrey, and Robin Hobb. I’ve savored every word of The Lord of the Rings (3 times), and devoured Sarah Eden’s work. 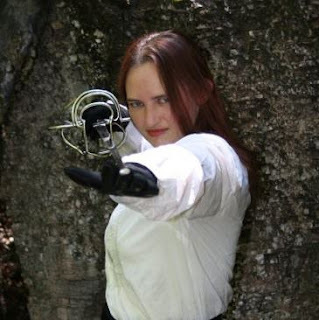 I admire Brandon Sanderson and David Gemmell, and loved the Divergent books and the Twilight series. 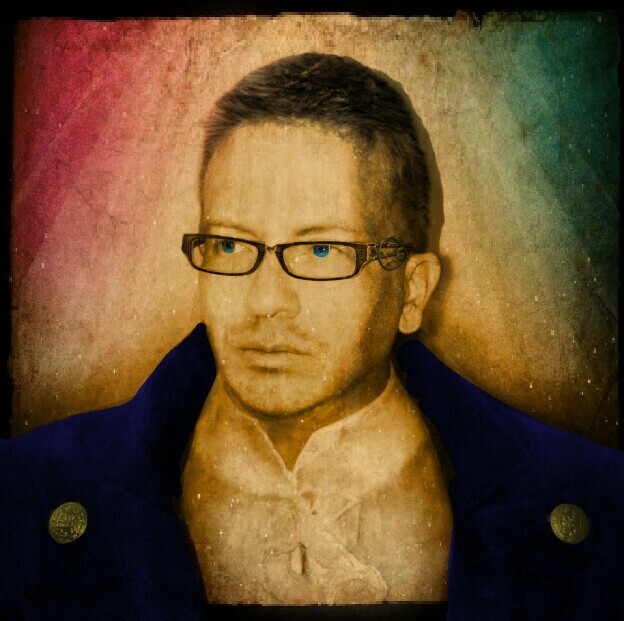 My favorite Regency Romance is The Scarlet Pimpernel and I’ve read all of Georgette Heyer’s and Barbara Cartland’s Regencies as well as a number of the Scottish Highland time-travel series. Mostly, I love authors who can create a world for me that allows me to step away from my own and enjoy an adventure. 2) One of my favorite leisure-time activities is going to the movies—and enjoying a bucket of popcorn. I’d go every week if I could. 3) I love to knit and crochet and have won awards doing so. I’ve made everything from clothes, children’s sweaters, baby blankets, beanies and booties to jackets, afghans, and shawls. 4) I love to travel. I’ve been from Florida to San Diego and Arizona, from Portland to New York, from Texas and New Mexico to Colorado, from Iowa, Nebraska and Illinois to Hawaii. I love living near the beach and the redwood forest, but my favorite vacation spot was Hawaii and I’d love to go there again. However, if I could have the dream vacation of a lifetime I would love to follow my family’s roots to Ireland, England, and Scotland. 5) I love sushi. I’ve eaten it at all types of restaurants all over the country and even in Hawaii. I’ve even learned how to make it myself and think I do a pretty darn good job of it. In fact, I love to cook so much I have at least one or two recipes in almost every well-known cuisine in the world and have created so many of my own recipes, I’ve sworn someday I might publish my cookbook. Maybe I will. 6) My list of favorite actors is way too long. I count myself lucky to have lived long enough to be able to jokingly claim a relationship with some of the greats. I cried when Jimmy Stewart, John Wayne, and recently Sally Field died. There are so many wonderful new actors and actresses coming into their own that I look forward to decades of brilliant performances. I’ve loved Sandra Bullock since her career began; I think Jennifer Lawrence has a great career to look forward to; Scarlett Johanssen is fascinating; and I always have and always will adore Tom Hanks, Tom Cruise, Denzel Washington, Juila Roberts, Jennifer Garner and Reese Witherspoon. I will never forgot the place carved in my heart by the stars of Harry Potter: Daniel Radcliffe, Emma Watson, and Rupert Grint or the amazing Lord of the Rings crew. 7) I still love the songs of Simon & Garfunkel, especially “The Sound of Silence” and “Scarborough Fair”, and “Angel” by Sarah Mclachlan. I love Celtic Woman, Kelly Clarkson, Lisa Kelly, The Piano Guys, Mercy River, David Archuleta, and Celine Dion to name a few. 8) I love animals. I once considered becoming a large animal vet. My first true love was with horses and I wanted a career that would keep me around them every day. I feel so fortunate that I not only eventually had the opportunity to own horses, I rode, trained, showed, and bred them. My husband says my relationship with horses is uncanny and calls me a horse whisperer. I don’t think I’m that great, but I would not deny that they seem to like me, too. 9) My husband and I have 8 children (7 living) and 22 grandchildren with #23 on the way! We’re very proud of our family’s accomplishments and we love them all. 10) My father is still alive at a robust 89 years old. He says he plans to live to 102. That means he’ll outlive me, ‘cause I’m not sure I want to live that long. Unless I can keep on writing! When soul-eating demons overrun his world, Kaelis, a young seraph warrior, uses the Queen’s ring to open a portal in space and flee with the infant heir to the throne, landing on earth. Unbeknownst to him, the demon leader, Nsark, follows through the portal, determined to devour the soul of every last seraph, especially the Queen’s heir. 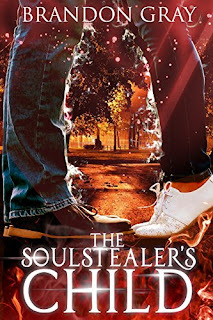 After Kaelis hides the baby, Nsark creates the ultimate weapon by fathering a half-human, half-demon: a soul-stealer’s child. Sixteen years later, an awkward teen named James struggles to fit in with his peers. In a last-ditch effort, he joins the school play, where he meets Lucy. Something deep draws them together, and their friendship reveals their hidden pasts: one is an angel, one is half-demon. 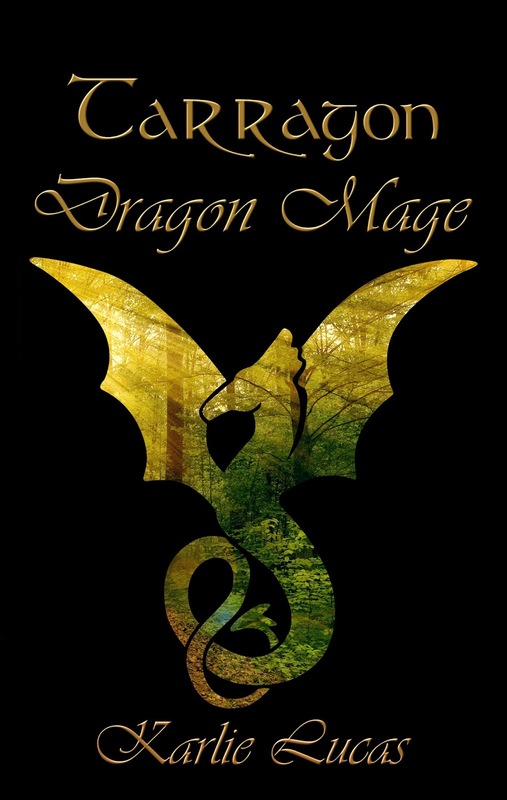 Lucy and James find themselves pulled into an age-old war between their peoples. 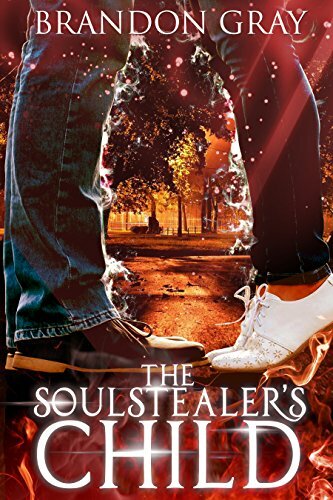 Hunted by relentless enemies, and grappling with deep-seated instincts and strange new powers, they must fight for their lives, their souls, and each other. Brandon Gray is the pen name of Braden Bell (Brandon writes YA fiction; Braden writes for middle grades). Braden holds a Ph.D. from New York University. He and his family live on a quiet, wooded lot in Tennessee, where he teaches middle school theatre and music. An experienced performer, Braden enjoys reading, gardening, and long summer afternoons writing in his hammock. His most notable skill is being able to eat a full rack of BBQ ribs with one hand on long drives. Beware the woman who does not exist, yet is everywhere. Paymaster Stenstrom and his Countess-in-Waiting, Lady Gwendolyn of Prentiss, are paid a bounty of riches to perform a simple task, and then everything changes. The weight of the Universe comes down upon them. Paymaster Stenstrom learns he is in the gaze of the destroyer of universes, the Shadow tech Goddess, and also that he is in a race with sinister forces hoping to curry her favor and bring about the end of all things. It is a race he and Gwendolyn must win. They will investigate ancient places hidden in plain sight and travel to long lost worlds unseen in ages. They will feel fear such as they have never known and walk in a Garden of Horrors where all is revealed and Stenstrom comes to know the truth of his place in the universe. The Shadow tech Goddess silently watches the doings from her throne in the Hall of Mirrors, seeing all, collecting information, and her verdict might finally be cast one way or the other. Laura L. Walker grew up in a large family in the beautiful Gila Valley of southern Arizona. From the time Laura was young, ideas for stories bombarded her brain. She would spend hours drawing her characters on paper and fantasizing about their adventures. Life became more serious, however, when Laura met her own hero while at college in northern Arizona and they later became the parents of six children. In between spurts of grocery shopping, sewing costumes or quilts, transporting kids to practices, and making dinner, Laura still enjoys putting her imagination to good use. 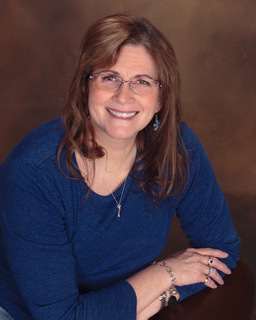 Laura is the author of two LDS contemporary romances, Pierced by Love and The Matchup. 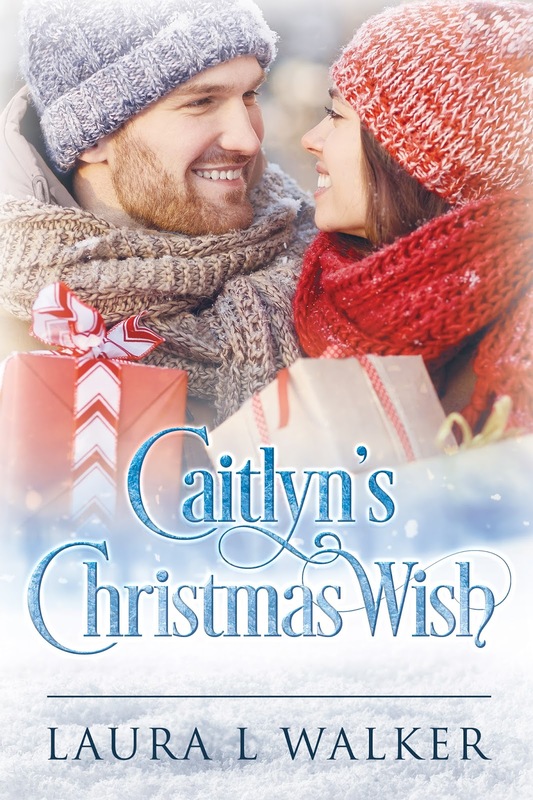 Caitlyn’s Christmas Wish is her first e-novella. Just when former model and single mother Caitlyn Drevier Reel has finally put her life back on track after a divorce and six-month stint in rehab, she is surprised to receive an invitation from her ex-in-laws to spend Christmas with the family. After all, she reasons, her ex-husband Grant is constantly on the road with his band and it's only fair to allow them to get to know her young son, Brody. What Caitlyn isn't prepared for, however, is the spark of attraction she feels for Ridge, Grant's older brother, or the sense of belonging to their wonderful family once again. Ridge, who is recovering from his own personal heartache, seems to feel the same about her. 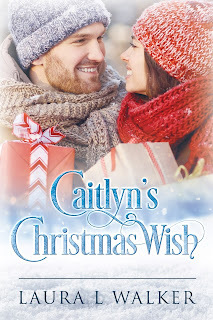 As they work together to ensure the success of the Winter Festival that his parents have organized for their small Wyoming town, Caityln begins to envision a bright future. But will Grant's unexpected arrival keep her Christmas wish from coming true?